Alex Shapiro is a highly qualified Commercial Helicopter Pilot, Certified Flight Instructor, and A&P Mechanic based in Fairbanks, Alaska. His experience and “make it happen” approach make Alex the perfect choice to provide for your remote Alaskan air transportation services. Alaska Land Exploration is owned and operated by Alex Shapiro and Raelene Wentz. Alex has always been fixer of thinks, an independent spirit and an adventurer. He might be considered a little obsessive by those who know him well. But, when it comes to choosing a helicopter pilot, obsessive is what you want. 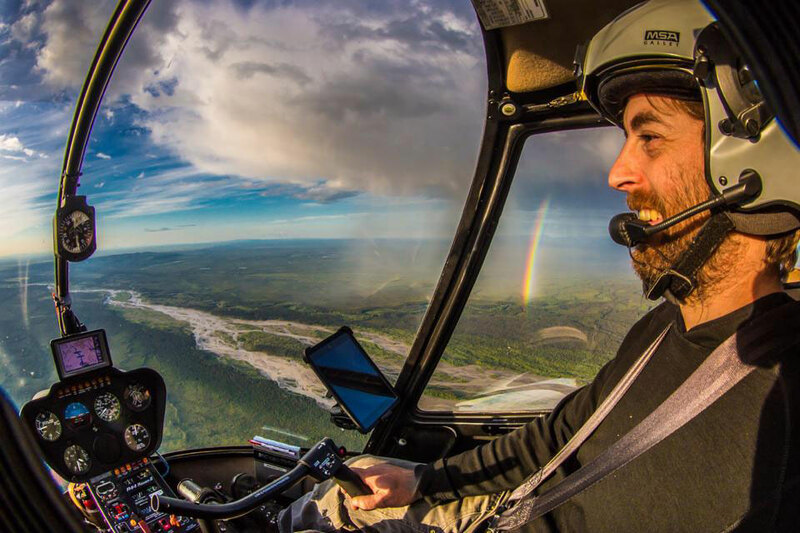 His skill at the controls is just one quality that makes Alex the Alaska helicopter pilot you want by your side. He is also an experienced explorer of the rugged Alaskan backcountry. His ability to recognize and fix problems in the field can make the difference in completing your project and getting home on schedule. Over the years, Alex has developed the creativity and the “whatever it takes” approach that makes him an indispensable partner. Who do you want when you’re out in the wilderness? A skilled commercial pilot who cares. A trusted ally who has your back. A reliable hand who takes care of the details so you don’t have to. A creative problem solver who thinks three steps ahead of the situation, anticipating, and adjusting along the way. With Alaska Land Exploration, that’s exactly what you get. Just concentrate on your work, and let Alex handle the rest. We fly the 2008 Robinson R44 Raven II, an efficient and reliable helicopter for transporting passengers and cargo. She’s well maintained and well loved, so she’s clean, flexible and well behaved when you need to get the job done. 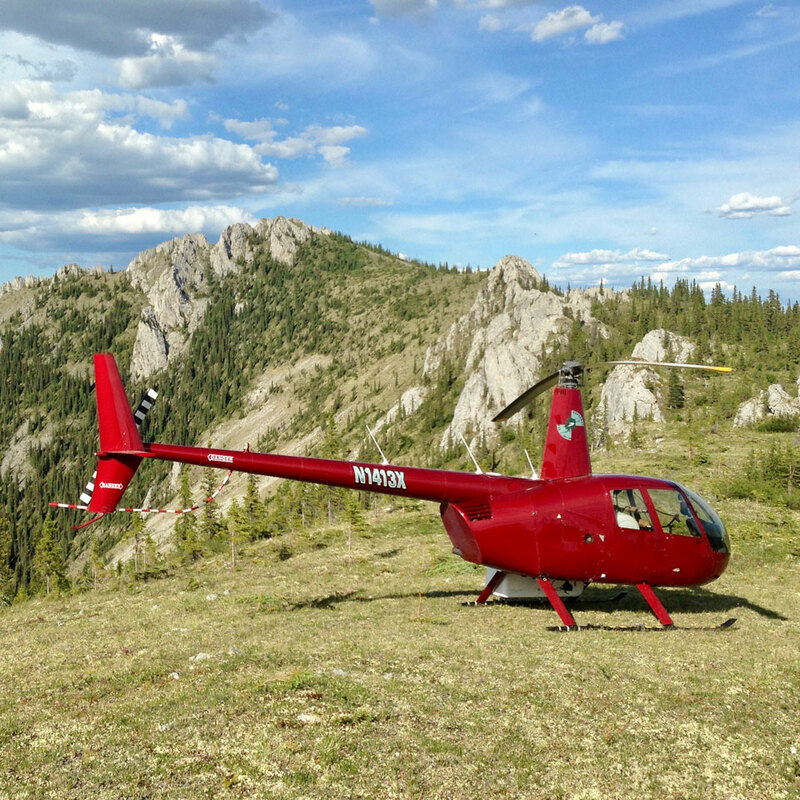 Our R44 loves spending time in remote areas and national parks that most people never get to see. Iridium Extreme sat phone and flight following system, apical pop our floats for over water flights, observation windows, tundra pads, extended hight landing gear. We depend and rely on our equipment. You can, too. 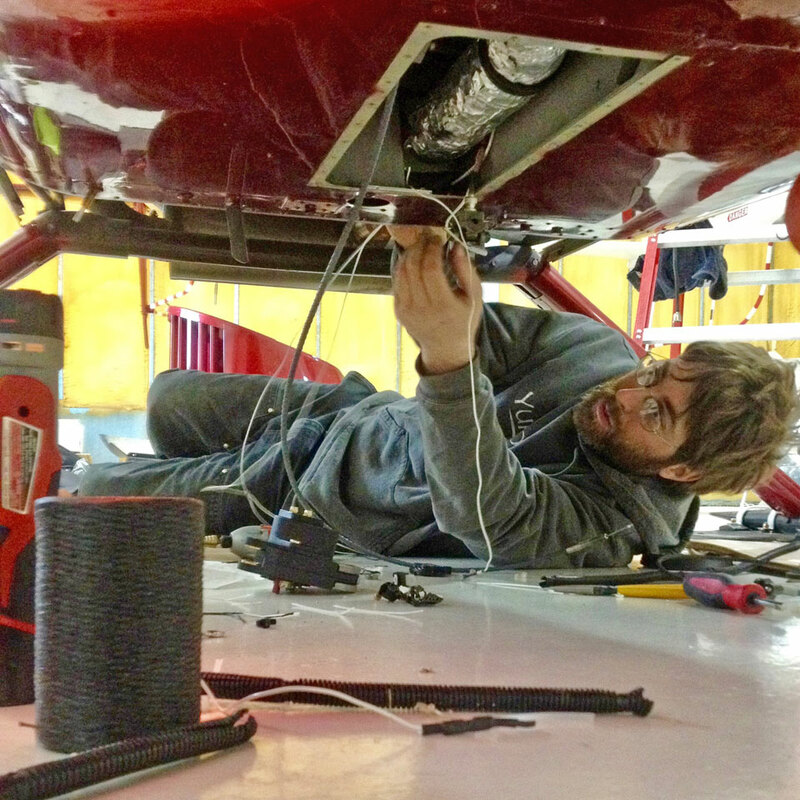 Alex is an Alaska-trained helicopter mechanic. That means regular maintenance and needed repairs are done right away, and done right. He believes in fixing minor problems before they become big issues. When you fly with Alaska Land Exploration, you’re in the capable hands of a pilot who really cares about his helicopter, your experience and your safety.